Glorious. That’s how I shall remember everything that went on that day. 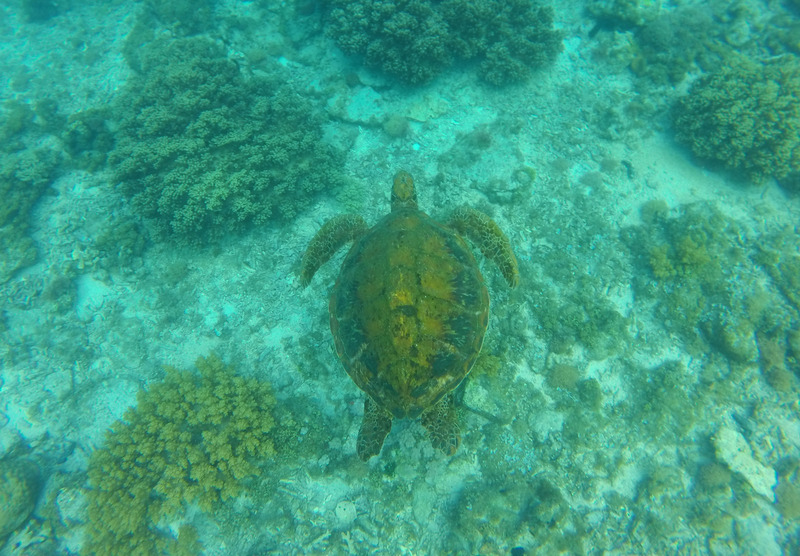 From my first step on Apo Island’s rocky surf, to my first peek underwater, only to see a giant turtle casually snacking at the aquatic greenery. Simply glorious. The day started off almost a bit ominous, though. There I was, zoning to zen as I sit on the tiny boat taking us a mere ten kilometers from the mainland to the isle. My head felt light as I wistfully reoriented myself with how naturally beautiful my homeland’s waters are. The waves were getting a bit too playful, but that’s just part of how adventures go in archipelagos, right? And then we heard a big pop. The boat slowed to a halt, then rocked to the dance of the waves that got more spirited by the minute. Apparently, a floating canvas bag got stuck to our propellor, and there was no way the boatmen could get the vessel to move again. We were stuck. IN OPEN WATER. Luckily, a passenger boat was passing nearby, and towed us safely back to the main shore. Our guide was able to quickly fix another ride for us to the isle, but I almost didn’t want to take a chance on another tiny boat. Good thing that I’m getting better at ignoring my fears, and I jumped onto the outrigger again. Twenty minutes later, as I gazed on the crystalline waters welcoming us into Apo Island, I knew it was all so worth the gamble. 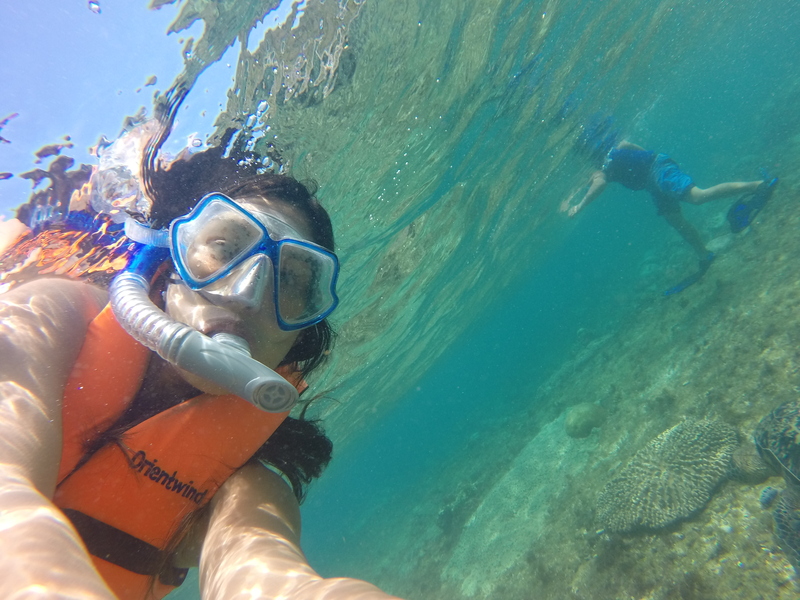 If you find swimming with turtles a bit elusive, Apo Island’s the perfect bet. I was no more than ten paces from the beach, when I got to peek at my first pawikan (giant sea turtle) having breakfast in shallow water. We got all the more excited when we realized there were plenty of them feeding at the sea grass, their massive shells and flippers in a slow, graceful glide, as they rock with the current. They weren’t kidding about the ‘giant’ part — these magnificent beings were HUGE. I would say big enough to fit a few kittens and puppies on its back for an excruciatingly slow, but fun ride. I think back to all the times that I wished I was richer, but at that point, I felt almost intoxicated with the wealth of experiences that Lady Fate has allowed me to have. I consider myself lucky to gain such easy access to mind-blowing encounters, such as swimming with giant sea turtles. 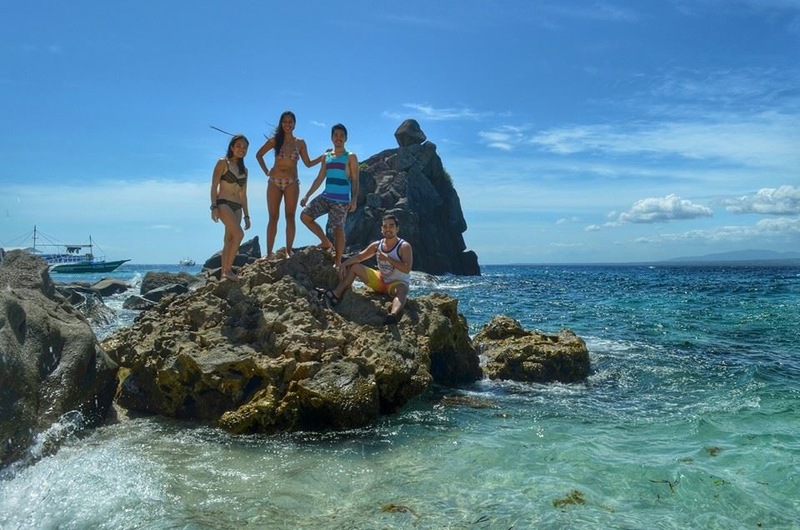 We swam off further from the shore, to get an eyeful of the vivid reefs of Apo Island. 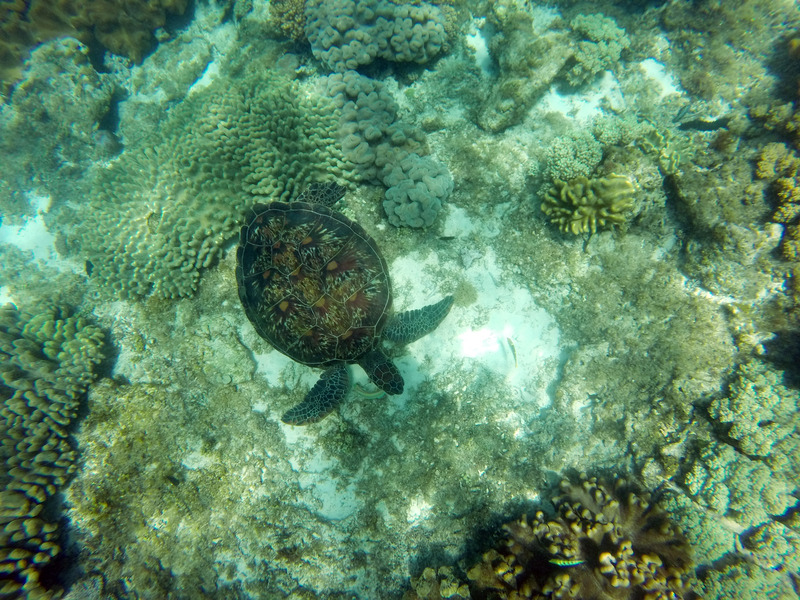 What a joy it was to snorkel above corals that were alive with blues, reds, greens and yellows. The presence of big, healthy fish was noticeably absent, though. 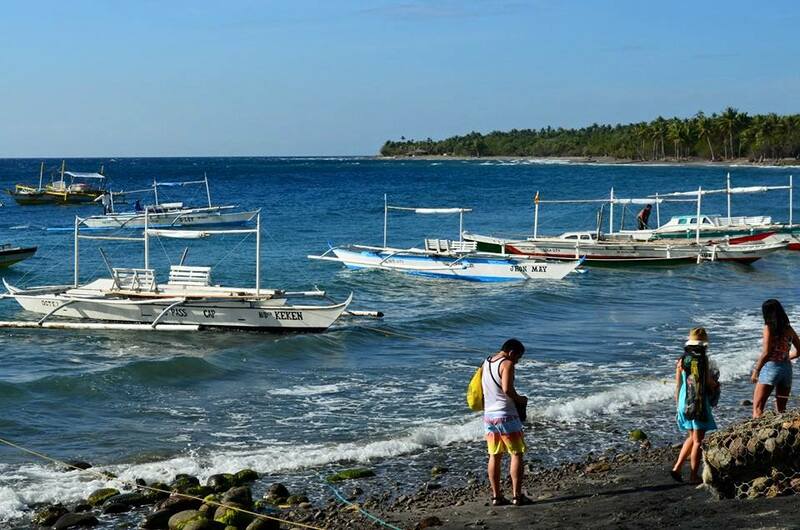 We were told that the shallow reef used to bustle with marine life, until a big typhoon slammed into the isle some years back. The locals closed off some parts of the island as sanctuaries, nurturing them until they burst with life again. Of course, we just had to climb the rocks and take a picture. As we laze away, munching on mangos and meals just off the grill, threading through endless conversations ranging from TV hotties to life-long dreams, I smile as I realize I’m surrounded by the best bunch of kindred spirits an intrepid girl could ever find. Weaving life-long memories, incidentally in a paradise island, is simply the icing on the cake. Yes, today is a good day to be alive.